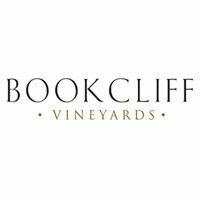 Taste and purchase Bookcliff Vineyards’ wines while visiting Glenwood Springs. Find your favorite, be it our Cabernet Franc Reserve or sensuous Black Muscat, and enjoy pairing it with the best chocolates. We share the space with The Chocolate Moose. Open 12:00-8:00 pm daily except Tues. Please call for winter hours. East of the Grand Ave bridge between 7th and 8th St downtown. Open 12:00-8:00 pm daily except Tues.